£250,000 is being made available through Fife Council’s Cowdenbeath Area Committee in partnership with the area’s Community Councils and other community organisations to encourage local people – residents and visitors alike – of all ages to come up with ideas to improve oor bit of Fife. People can share their ideas with others by using an app on their mobiles, tablets, laptops or pcs to get them onto the website www.oorbit-fife.org . For those who prefer traditional methods of communication, stamped addressed postcards are being made available for people to write down their ideas and send them in. The steering group managing the initiative are drawn from all over the Cowdenbeath Area and they have decided to promote it through local gala and Civic Week events. It will be launched at Cowdenbeath Gala Day – Saturday 18th June, followed by Kelty Gala Day on Saturday 25th June and Benarty Gala Day on Sunday 26th June. 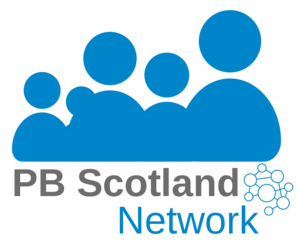 People are being asked to think how they could improve oor bit of Fife – the Cowdenbeath Area – from Kingseat and Crossgates through to Cardenden and Benarty. What do you think could be done to make the Places and Spaces even more attractive to live in, work in and visit? What would you spend a share of £250k on? or anything else that you think will help make oor bit that bit better! Get online and put your idea out there, look out for details of other area events or just go on line to see what other folk have suggested. The most popular suggestions will be put to a full public vote in late September/early October.